PID #61 EXCEPTIONAL 3 Bedroom 2 Bath Home Away From Home. Whether you are here for summer time fun or a winter getaway, no need to look any further. 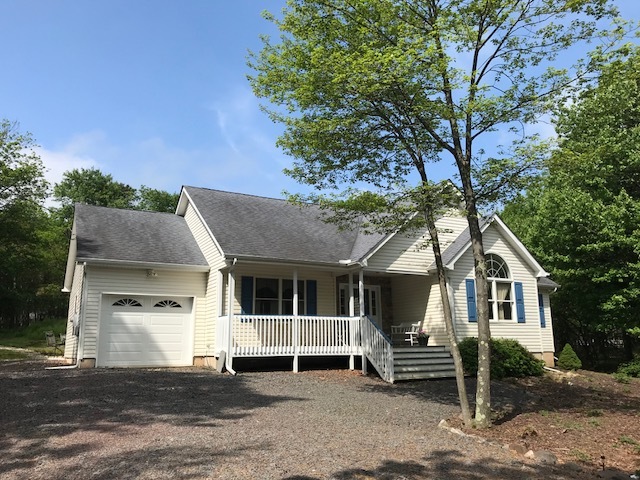 Located in Amenity Filled Towamensing Trails and is near major Pocono Attractions such as Skiing, NASCAR, Hiking, Casinos, Historic Jim Thorpe, Whitewater Rafting, Skirmish, Horseback Riding, Shopping, etc. This home does not have a working phone. Don't forget your cell phones. Our homes are supplied with dishes, cookware, pillows and blankets. PLEASE BRING towels, dish towels, linens and paper products. Linen service available upon request and additional fee. This home accomodates 6 people. Please do not exceed this number.